Art & Creativity for Healing holds an annual Fundraising Gala, our largest fundraiser of the year. Every year we have a silent and live auction, great food, music, and other special giveaways, all in the name of charity. One hundred percent of the proceeds from the Gala benefit Art4Healing® classes and workshops. Our mission, supporting emotional healing through art & creative expression for those living in pain, fear, grief or stress depends on your support! 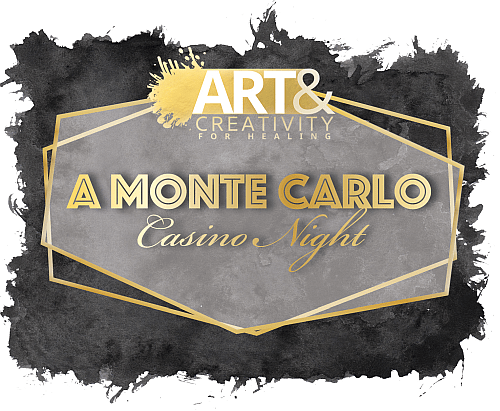 Save the date for our 2019 Gala – A Monte Carlo Casino Night on Saturday, October 12th, 2019. We’re excited to give you a new and exciting theme in a different season for next year’s event! We’ll be holding the event at the AV Irvine, Orange County’s hottest meeting and event destination. Located just blocks from the Irvine Spectrum Center and Irvine Meadows Amphitheater, [AV] encompasses over 25,000 square feet of customizable event space on two floors. This will be a GREAT location for a night of charitable fun! free programs in the community. Our gala supports 25% of our annual budget. Our Gala has SOLD OUT for the last four years, so get reserve your place now! Art & Creativity for healing is now in its 19th year! We’re excited to make this year’s Gala a record event. We invite your company to partner with us as a Corporate Sponsor for our 2019 Gala! Why should YOU sponsor Art & Creativity for Healing? We’re a smaller non-profit, but we do big things! We partner with over 35 other non-profit agencies. Our Workshops target a variety of key groups, such as: the homeless, at-risk teens, seniors, the military and victims of domestic violence. Your corporate dollars can help us reach deep into the heart of these communities to do big things. Aligning with a one-of-a-kind mission gives your company an edge. You will be different because we are different. 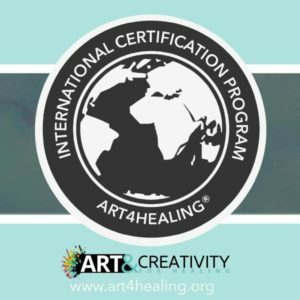 The Art4Healing® method is the only one of its kind in the world. You would truly be part of something special. We highlight our Sponsors on Facebook, Instagram, Twitter, and our website. We also feature Sponsors and Partners in our monthly newsletter with over 3,500 subscribers. Lastly, there’s the event itself, which draws 250 attendees. Come to our studio for a tour or consider letting us host a team-building workshop. The “halo effect” becomes the “healing effect!” As a top sponsor, you would be gifting therapeutic workshops to 400 children, families, veterans, and domestic violence victims living in pain, grief, fear or stress. for those living in pain, grief, fear or stress. This is our only fundraising event of the year and the proceeds make up 25% of our annual budget. All proceeds go directly to support our free programs in the community. In essence, your company would be giving us more than just a dollar amount – you would be giving pain a voice. Since 2000, we have served over 75,000 children and adults by providing free Art4Healing® workshops to over 35 partner agencies. Our goal for 2019 is to expand our core community programs and reach even more participants. Take a look at the full sponsorship letter by clicking below. It lists the various sponsorship levels and opportunities. You can also view a seating chart and reserve your tables. Our Annual Gala has SOLD OUT for the past 4 years. We encourage you to secure your sponsor tables before July 31st, 2019! Once you’ve chosen your package and seating, simply fill out the form below. If you have any questions, please, contact us directly at 949.367.1902 and we’ll help get you registered. See photos and articles from past Galas here!